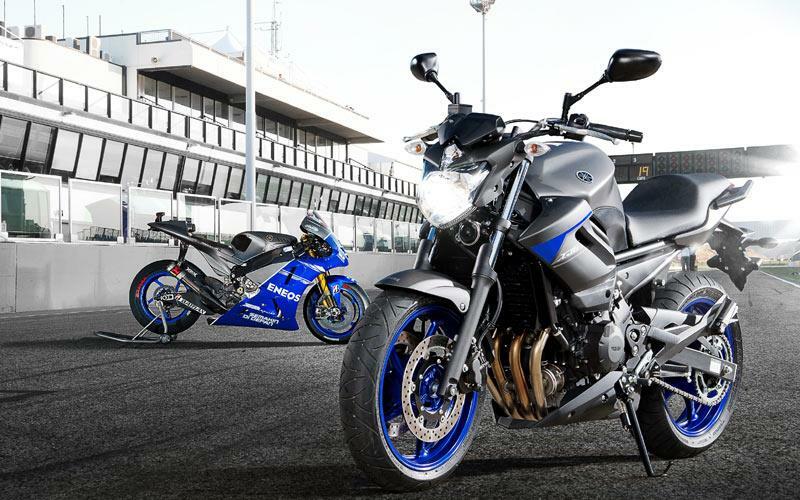 The XJ-series of motorcycles from Yamaha - which includes the XJ6 ABS, XJ6 Diversion and XJ6 Diversion F - will be available in the new Race Blue paintscheme. The blue and matt grey colours have been used by the factory MotoGP team for the previous two races at Misano and Aragon. The YZF-R1, R6 and R125 sports bikes are also available in the Race Blu paintscheme for 2013. Changes to the XJ6-series for 2013 include redesigned side panels, uprated instruments, new dimpled seat cover and clear turn signal lenses.